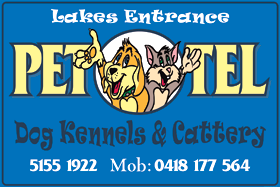 Lakes Entrance Golf Club - Enjoy a discount on your next game of golf, just present your keys to your cabin. Golf Links Road - 18 Holes, Par 72, 2603m. Ph 03 5155 1431. Lakes View Golf Course is only 2 minutes away from Lakes Entrance Log Cabins. Palmers Road - 9 Holes, Par 60, 2757m. Ph 03 5155 3544. Boat Ramps are only 5 minutes from your cabin, on North Arm near the Skate Ramp. If you don't have your own boat, take a Fishing Charter for the day. You can do Ocean Fishing, Lake Fishing or a Charter in Lake Tyers. Choose from Far Out Charters, Mako Fishing Charters, and Lake Tyers Charters. 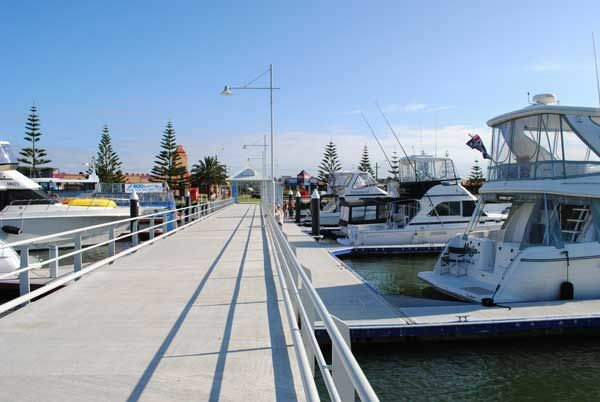 Fully licenced Clubs and Hotels in Lakes Entrance. Choose from a Bistro meal at one of our Clubs, or a pub meal served in a family atmosphere. Lakes Sports Club, Lakes Bowls Club, Central Hotel and Waterwheel Beach Tavern.